The Access and Benefit-sharing Clearing-house (ABSCH) is a platform for exchanging information on ABS and a key tool for facilitating the implementation of the Nagoya Protocol. 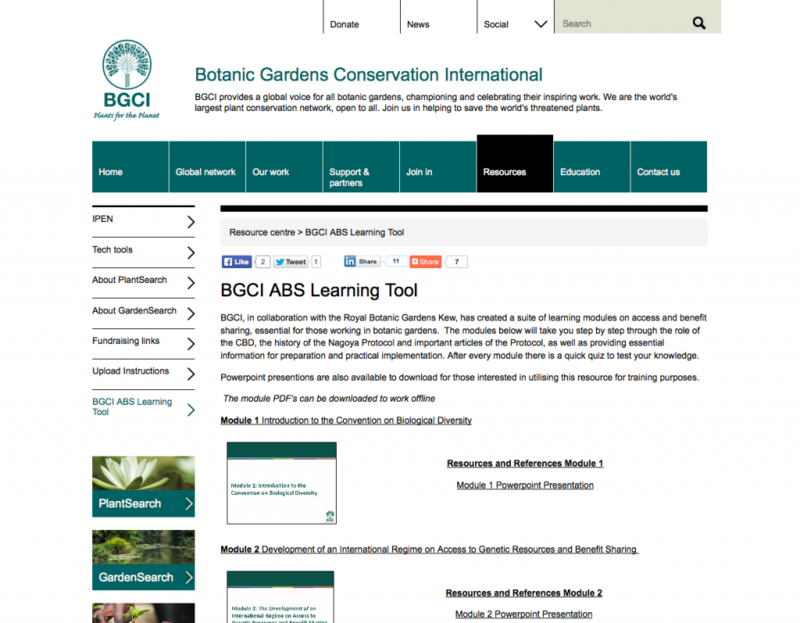 BGCI, in collaboration with the Royal Botanic Gardens Kew, has created a suite of learning modules on access and benefit sharing, essential for those working in botanic gardens. The modules take you step by step through the role of the CBD, the history of the Nagoya Protocol and important articles of the Protocol, as well as providing essential information for preparation and practical implementation. After every module there is a quick quiz to test your knowledge. Link to the GSPC targets 2011-20 from the CBD web site (www.cbd.int). 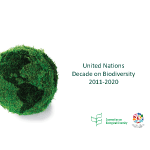 Link to the CBD web site (www.cbd.int) and the pdf presentation on the UN Decade on Biodiversity. 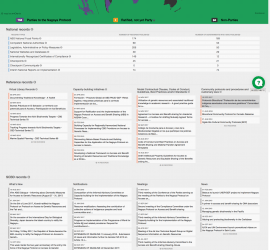 Link to the details of the tenth meeting of the Conference of the Parties (2010), held in Nagoya, Aichi Prefecture, Japan, which adopted a revised and updated Strategic Plan for Biodiversity, including the Aichi Biodiversity Targets, for the 2011-2020 period (UN Decade on Biodiversity). 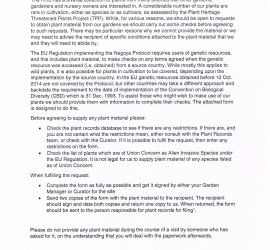 The Guidelines identify the steps in the access and benefit-sharing process, with an emphasis on the obligation for users to seek the prior informed consent of providers. They identify the basic requirements for mutually agreed terms and define the main roles and responsibilities of users and providers and stress the importance of the involvement of all stakeholders.